There are things that happen in life that are hard to give thanks for. We are self preserving creatures and when things are challenging we tend to protect ourselves as much as we can so we don’t get hurt. By nature, to give thanks for something that is hard or that hurts is not in our DNA. For life to be easier to handle and for it to be joyous we must develop an attitude of gratitude. 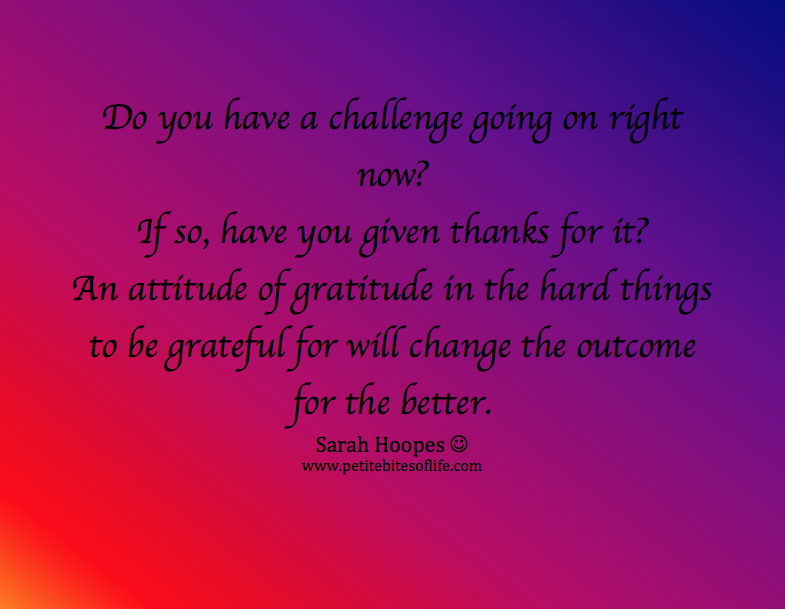 When we give thanks even for the hard things that happen, we start to change from inside out. 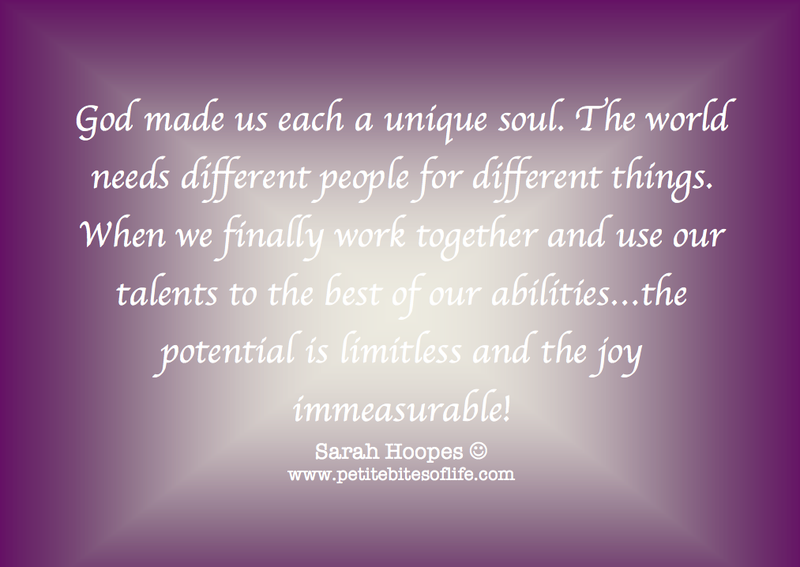 We become stronger, we do things with a positive attitude and we have different insight…better, brighter, happier! What is your attitude like today? So, I would like to talk about fasting. As you know by reading my posts, I am a Christian and love the Gospel of Jesus Christ, it literally saved my life. Fasting is a part of my life for the spiritual side, meaning, I do fast in prayer to weaken the body and strengthen the spirit, it works.I’ve been doing it for years and it has brought me to places I know I wouldn’t get to but through fasting in prayer… This past week it became a part of my life from the spiritual and physical side. It is a powerful fast way to cleanse the body. I don’t recommend you go out and do this. I got to do this because of much prayer and desiring to know what God wanted me to do. As I said before in this 3D series, I have a tendency of addiction. Food, sugar, video games on the phone, in the past, drinking…you know…I have a very all or nothing personality. So, I did a 3 day fast. Only drinking little water and a little bit of fruit juice…all in prayer. It was an amazing experience! My mind got clear, my heart felt right and my body welcomed the cleanse. Is it for everyone? No! Is it hard? It was easy in the first two and a half days, then as I mentally knew it was coming to an end it was a little harder. I was able to prepare food for my family with no problem. Because I was focused on the purpose of the fast. So, my 3D fitness for the past couple of weeks has been the 3 day fast and then really feeding my mind, body and heart good things. Eating way better and reading like nobody’s business. Embracing in service and spending lots of times in my scriptures. I am stripping yet another layer of me that is not necessary anymore. I am in a better place. I am loving the transformation. I am worth the work, the time and the change. It is a long road, yet, I am not alone. Did this on Facebook and decided to have some fun! Everyone is unique and have little things about them that are theirs alone…I thought it was fun coming up with 8 of them to post on my wall on Facebook and now I thought I would have some fun here on the blog. Soooo, here we go! – pack rat used to be my middle name, letting go of that is wonderful! We tend to complicate everything we think by over thinking it; anything that happens to us, by over analyzing, over emphasizing and over emotionalizing…we tend to react bigger than necessary, actually we should act instead of a knee jerk reaction. How about we change things up a bit ? How about we look at the day and simplify everything we can…cut useless steps to projects that seem enormous and overwhelming…look closely, they are there. How about less time spent on things that are time wasters and make time for the important stuff that has been on the back burner for a while. How about putting people before things…specially the ones we love most. See, just by doing those 3 things I changed up a lot. 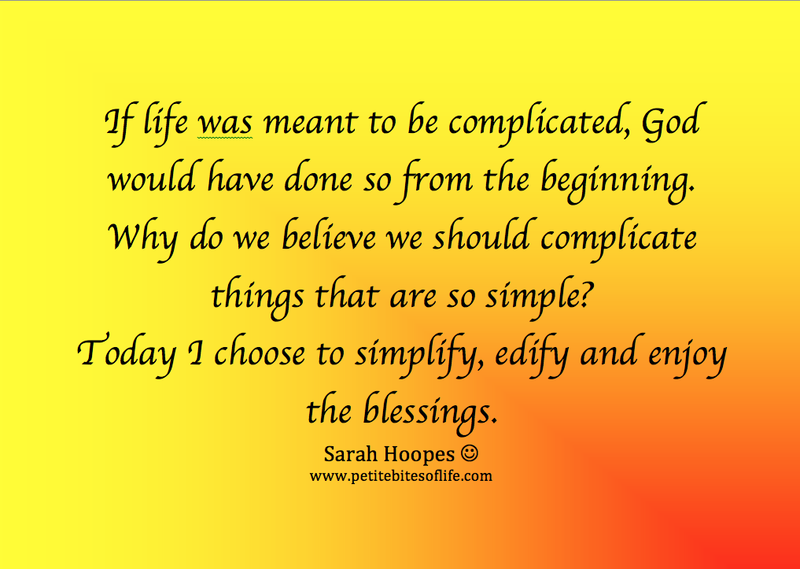 Will you join me in this simplifying adventure? Today I woke up with the lyrics of a song in my mind. It is in Portuguese. I am going to put the lyrics bellow and translate it. Trigger points bring things to the forefront of our minds quicker than any way of thinking. They are like buttons you push, the machinery goes on instantly…in this case, the memory shows up and you are there! How sweet it is to change yourself enough that you can see the good in whatever memory you look at. I love feeling healing in my heart. Today this sweet song showed me again, how far I’ve come from where I started. It is awesome when we compare ourselves to ourselves (which should be the only comparison done in life), we can see how far we have come! Que se quebra quando cai. E a namorada analisada por sobre o divã. That breaks when it falls. Because that stone will become dust someday. I am a sand castle at the ocean’s edge. but the clock requires tomorrow from you. And the girlfriend is going through analysis on the couch.